What is the main ingredient of WD-40 ? Before you read to the end, does anybody know what the main ingredient of WD-40 is? Don’t lie and don’t cheat. WD-40. Who knew; I had a neighbor who bought a new pickup. I got up very early one Sunday morning and saw that someone had spray painted red all around the sides of this beige truck (for some unknown reason). I went over, woke him up, and told him the bad news. He was very upset and was trying to figure out what to do…. probably nothing until Monday morning, since nothing was open. Another neighbor came out and told him to get his WD-40 and clean it off. It removed the unwanted paint beautifully and did not harm his paint job that was on the truck. I’m impressed! When you read the ‘shower door’ part, try it. It’s the first thing that has ever cleaned that spotty shower door. If yours is plastic, it works just as well as glass. It’s a miracle! Then try it on your stove top … Viola! It’s now shinier than it’s ever been. You’ll be amazed. 5.. Keeps flies off cows. 12. Keeps ceramic/terracotta garden pots from oxidizing. 18. It removes black scuff marks from the kitchen floor! Use WD-40 for those nasty tar and scuff marks on flooring. It doesn’t seem to harm the finish and you won’t have to scrub nearly as hard to get them off. Just remember to open some windows if you have a lot of marks. 22. Rids kids rocking chairs and swings of squeaky noises..
23. Lubricates tracks in sticking home windows and makes them easier to open..
36. Folks even spray it on their arms, hands, and knees to relieve arthritis pain. 38. The favorite use in the state of New York , WD-40 protects the Statue of Liberty from the elements. 39. WD-40 attracts fish. Spray a little on live bait or lures and you will be catching the big one in no time. Also, it’s a lot cheaper than the chemical attractants that are made for just that purpose. Keep in mind though, using some chemical laced baits or lures for fishing are not allowed in some states. 40. Use it for fire ant bites. It takes the sting away immediately and stops the itch. 41. WD-40 is great for removing crayon from walls. Spray on the mark and wipe with a clean rag. 42. Also, if you’ve discovered that your teenage daughter has washed and dried a tube of lipstick with a load of laundry, saturate the lipstick spots with WD-40 and rewash. Presto! The lipstick is gone! 43. If you sprayed WD-40 on the distributor cap, it would displace the moisture and allow the car to start. 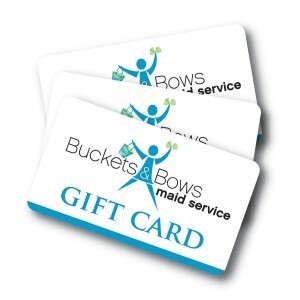 I have been using Buckets and Bows maid once-a-month service for 2 years, and they are fantastic! I've been using Buckets N Bows for over a decade and couldn't be happier.